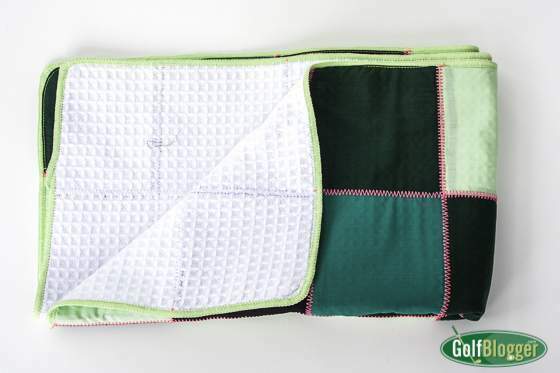 Mitholog’s golf towels are bright and well-made microfiber towels. The inside has a waffle texture that does a great job wiping dirt and sweat. The outside of the towels have a quilted look, with differently colored squares stitched together with contrasting threads. 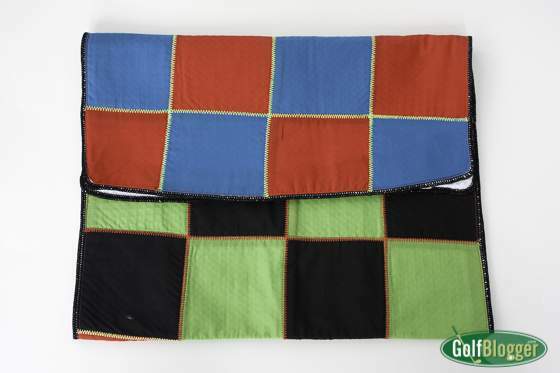 The two towels I received for review were the “Fairways and Greens,” with different shades of green, and “Matchplay: Superman vs Hulk,” which has red and yellow squares on one half; green and black on the other. Mitholog’s golf towels measure 17 x 40, so they’re of ample size for a variety of on-course uses. The one thing I would like to see changed on the product is the addition of a grommet on one of the corners. While I can thread the towel through the shafts of clubs in my bag, I prefer to have a way to anchor towels to the bag. I don’t like to lose towels — especially ones as nice as these. This review was originally published June 13, 2016.